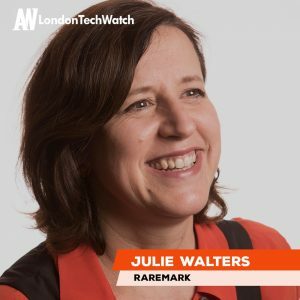 After helplessly watching several members of her family being treated for rare health conditions, where there isn’t often a wide body of knowledge, Julie Walters came to the realization that there was a definite need for a database with both scholarly information and first-hand knowledge from people with rare diseases. Her experience drew her to launch Raremark. It’s a machine learning-driven platform that collects and aggregates the experience and biological data of people around the world affected by a rare condition, to create a centralized repository of knowledge, segmented into communities. London TechWatch sat down with Walters to learn more about her company that is shaping the future of informational health platforms, its future plans, and recent round of funding, which brings its total funding to £4.1M over three rounds. We raised £3M in what we’re calling a pre-Series A round. 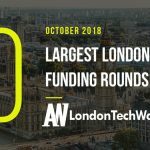 Our first institutional investor, the Cass Entrepreneurship Fund, followed their seed investment and were joined in this round by new investors Albion Capital Group, Ananda Ventures, Oltre Venture, and Syndicate Room’s Growth Fund. Tell us about the product or service Raremark offers. Raremark’s purpose is to create a future in which rare medical conditions are as recognised as the common – and we do that by collecting and analysing a missing database: the experience of people living with rare conditions. We’re building a next-generation platform in health, including the latest analytical techniques and machine learning tools, to engage, collect and aggregate the experience and data of people around the world affected by a rare condition; including, where it helps, biological data. What inspired you to start Raremark. We’re all touched at different times by serious health conditions, if not our own, then by friends and family. In my case, my stepbrother Josh was diagnosed with autism at the age of 18 months. At almost the same age, my god-daughter was diagnosed with a rare type of leukemia – and then my father died of idiopathic pulmonary fibrosis, a rare lung condition. My god-daughter was very fortunate, as she fully recovered. But seeing the devastating impact that rare conditions have on families, and the lack of available treatments, reliable information, and peer-to-peer support is what’s led to Raremark. What conditions have your clients asked you to cover and what do you need to begin covering a new condition? We decide which conditions we will launch online communities for and we currently have 14, which we may extend to around 30 over the next two to three years. First, there needs to be active pharmaceutical interest in the area. Secondly, there has to be a need for our service among the patient community and we find that our service is most suitable for chronic, long-term conditions where patients and their carers truly become the experts in their conditions. 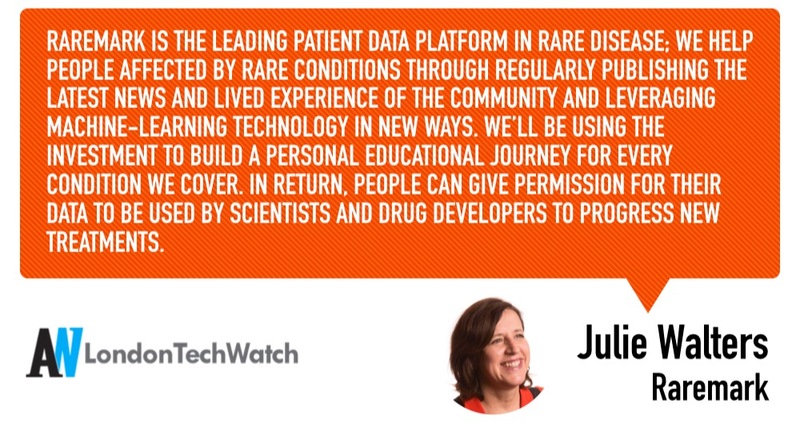 Raremark is the leading patient data platform in rare disease; we help people affected by rare conditions through regularly publishing the latest news and lived experience of the community and leveraging machine-learning technology in new ways. We’ll be using the investment to build a personal educational journey for every condition we cover. In return, people can give permission for their data to be used by scientists and drug developers to progress new treatments. 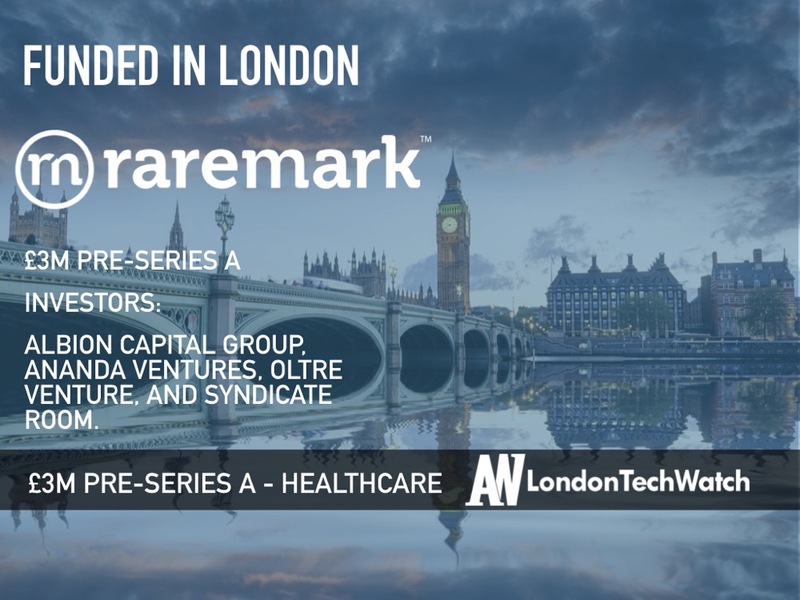 Raremark earns revenue in three ways: producing high-value insights to rare disease drug developers through snapshot surveys and longitudinal natural history studies, and by referring suitable patients to clinical trials. Extremely time-consuming, for me at the start, then for everyone on the management team. From start to finish, it’s taken around 18 months, from the courtship phase through to heads of terms, due diligence and the closing paperwork. Fortunately, my cofounder was able to lead effectively on this last part, so that left me freer to get on with driving the business. Closing! The investors we met along the way completely got the Raremark project from early on. But closing, we’ve discovered, always takes much longer than you anticipate; and not least when several parties are involved, each one having their own idiosyncratic needs and last-minute requests. Two of the three new VC funds are social impact investors and they recognise the potential for developing treatments in rare disease over the next few years. They also recognize that in rare disease, patients and carers are the experts but that it’s hard to gather their insight in a systematic way. They also see the healthcare trends from the US, where patient data is at least five years ahead of Europe. Those data-rich trends in healthcare are starting to be seen in Europe and it was a good chance for them to get ahead of the curve. In the case of Syndicate Room, the crowd-funding platform, they’ve supported us from our first small seed round in 2016. They’ve also recently raised a multi-million-pound growth fund to invest that they can opt to invest in the follow-on rounds of their successful alumni; and having survived and thrived, we qualified. Now the cash is in, I’ve asked the same question of them. Apparently, they also saw in me the determination never to give up and, given I don’t code, the ability to draw the right people around me to do all the jobs I can’t do! We have a lot to build! We’ll be using machine learning to personalise educational journeys, growing our engineering team in London and Kiev and establishing a business development team in Boston. I’m spending 50% of my time in Boston now as so many of the rare disease pharma companies are based there. Give yourself time. Raising funds always takes longer than you think, so cut your cloth accordingly. We had to make cuts a year ago to ensure we had the cash runway to get through a year-long funding cycle and find the right investors. You might get lucky and raise earlier but it’s wise to plan for the worst. I always remember the two main reasons that early businesses fail: the first is that they run out of cash; and the second reason is that they run out of cash. Also, if you’re a female founder, I highly recommend Angel Academe for seed funding. They really helped us in the early days. 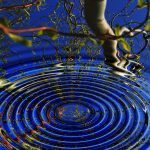 Building, building, building … engaging our patient community – and selling. For me, I’m either story selling or storytelling. It’s also really important that we keep our vision front of mind and build a team who see the world as we do. That will make the journey a whole lot easier. What’s your favorite outdoor activity in London? Bike rides off the main drags – and exercising our dog Maddie in any one of London’s wonderful parks. Maddie comes into the office every day. 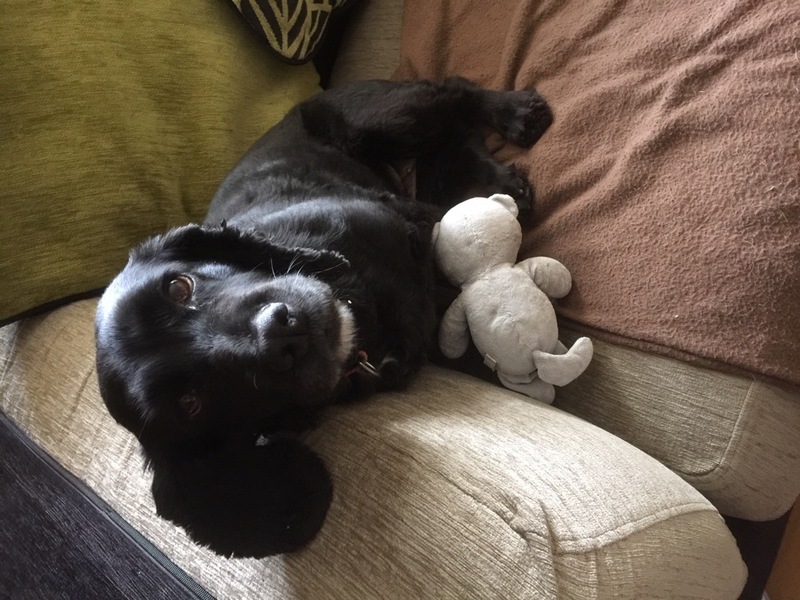 She’s non-negotiable and great for alleviating team stress on busy days!